BEIJING (Reuters) - In the tense trade war with the United States, China's government has turned to an unlikely weapon: a cartoon bean. "Hi, everybody. I am a soybean. I may not look like much, but I'm very important," says the animated character in a video posted on Friday on the website of China Global Television Network (CGTN), the overseas news network of state-owned China Central Television. The short video in English with Chinese subtitles seems designed to undermine support for the trade dispute from U.S. farmers, key supporters of President Donald Trump, by highlighting the damage tariffs could have on American soybean exports. Its release follows the imposition on July 6 of tariffs on $34 billion of Chinese imports by the United States. In return, China levied taxes on the same value of products from the United States, including soybeans. Trump has also threatened further tariffs on $200 billion in Chinese goods. The video also highlights efforts by China's Communist Party to turn to foreign actors, cartoons and even rap to try to deliver its ideas in less turgid formats. Opting for the unusual narrator illustrates how Beijing views soybeans as a powerful tool in its battle with its top trading partner. Soybeans were the United States' biggest agricultural export to China, worth $12 billion last year. The video is partly educational, but is mostly aimed at delivering a political message. After outlining the main uses of soybeans from tofu to animal feed to biscuits, the bean turns its focus to its central role in the trade war. China can choose to buy beans from other exporters, such as Argentina and Brazil, if prices become too expensive, the bean says in the video. 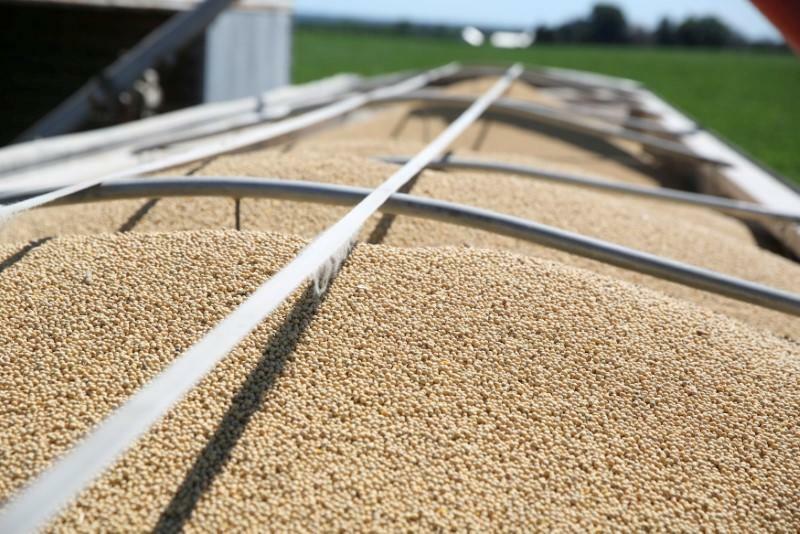 But falling prices and lower sales would hurt U.S. soybean farmers, it warns, pointing out that U.S. prices have fallen by 18 percent from May to early July, to their lowest this year. Nine out of the top ten soybean growing states voted for Trump in the 2016 presidential election, the video notes. "So will voters there turn out to support Trump and the Republicans once they get hit in the pocketbooks?" asks the bean. The cartoon does not mention that soymeal prices in China are rising, triggering fears of food inflation. Soymeal is a crucial animal feed ingredient for pork producers and the country is the world's biggest pork consumer. It is not the first time soybeans have had a starring role in Beijing's trade showdown with Washington. Social media was transfixed by a ship racing to deliver its cargo of U.S. beans before the tariffs kicked in.